Do You Think This Color Combination Will Work? I visited my favorite junk shop on Saturday and picked up a few things. This cabinet needs a little work. 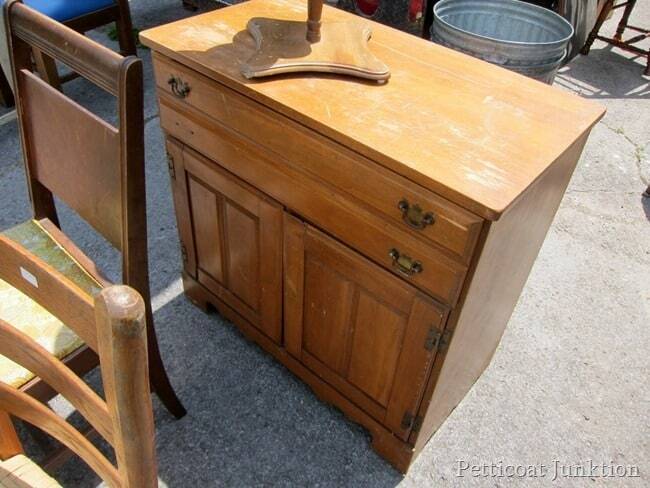 I think it will be perfect in white with a shabby chic look since it’s a little beat up. The price was okay at $35…not fabulous….but ok. 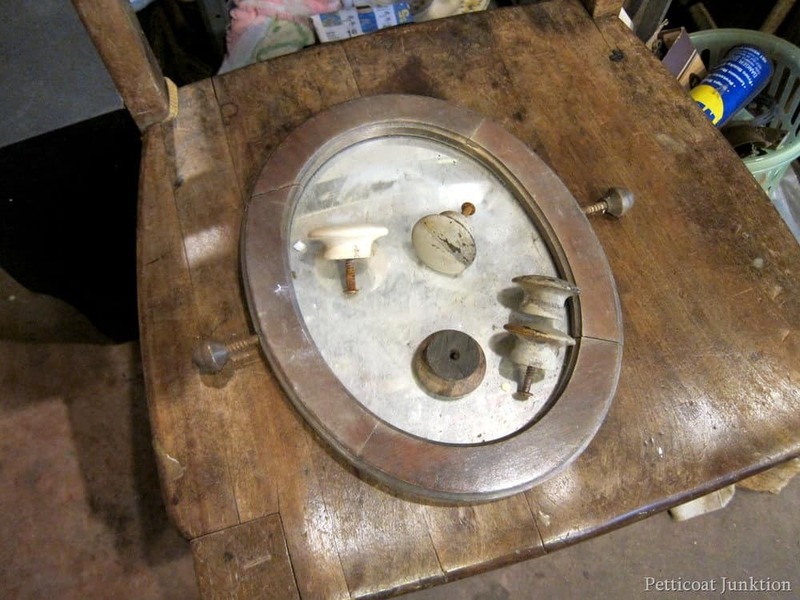 I also got the old mirror and wood knobs. I see a fun project in my future. 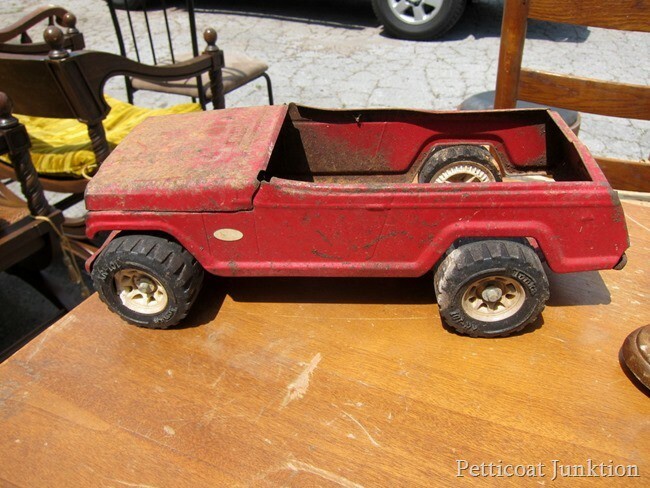 The red Tonka truck has definitely seen better days. What do you guys think about using it for a flower planter. I can clean it up a little to bring that beautiful red color back to life. It will still be rusty but I can see it! Not sure about the windows. I may just sell them as they are Beth’s Barn Sale this weekend. This piece was only $25. Who could pass that up. I’m thinking of using this color combo on it….. I spotted this makeover in Cari Cucksey’s booth at the Country Living Fair. I some how missed getting a photo of it. 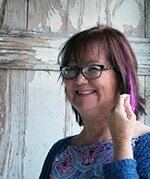 But no worries…my sweet friend Beth was kind enough to share her photo with me! 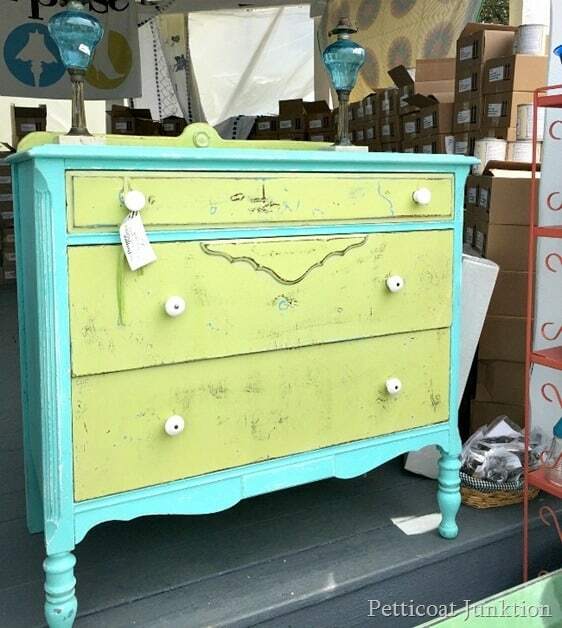 I’’m thinking of painting the drawer and cabinet doors light celery green and the body in turquoise. Or maybe just the doors in the celery green? The Tonka truck with flowers will be fabulous. White on the first chest of drawers would be perfect. The green and blue on the second one will look neat, but I would add a little blue distressing to the green color. I know your pieces will be neat whatever you do with them. I think it’s daring. I’m so tired of painting gray. Our world is filled with beautiful color and this is a perfect example. May narrow your scope of buyers though, but I say go for it! What’s the worst, paint again? That’s the fun. I think the color combo is ugly, but I’m not a real fan of distressing everything either. Maybe I am just too old to appreciate it. Just my opinion. I wouldn’t do anything to the Tonka truck – not even clean it up. It will look great with a plant in it just the way it is. 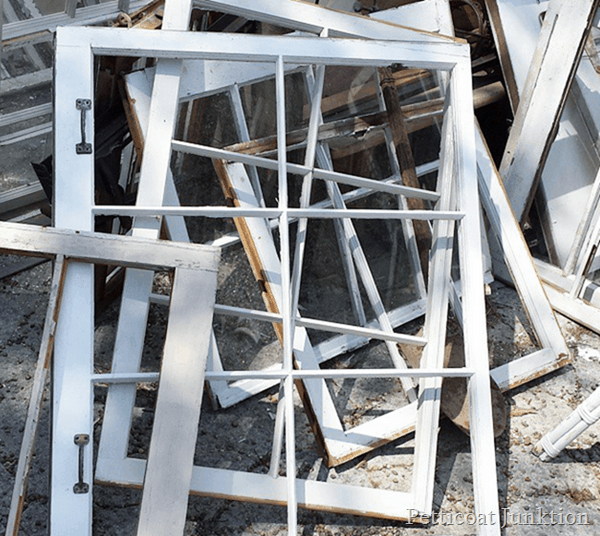 They are really hard to find – it should sell well for you! 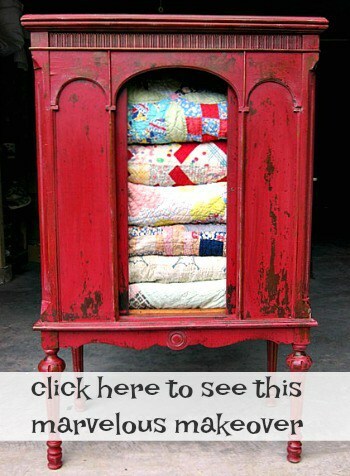 Fabulous color combination, especially for this style of cabinet with the shutter doors! I say go celery on both the doors and drawer fronts. Can’t wait to see it Kathy! I’d say both the drawers and doors. I love that combination! And clear or pale turquoise glass handles on the drawers. 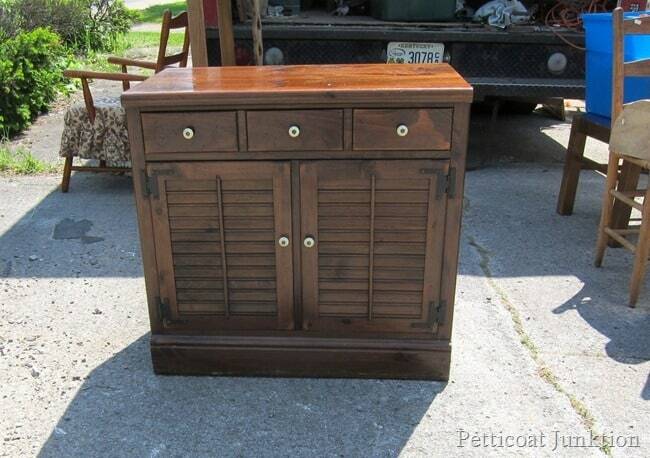 I think the drawers and just the slats on the doors. I like the color combination and think I would be great in a sun room or any room that gets lots of light to show those colors off.